Happy Labour day! I hope your spending it somewhere nice. 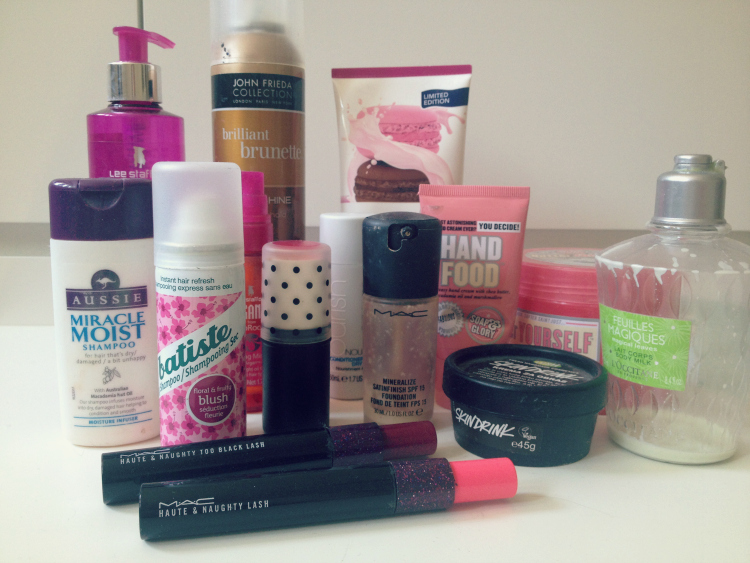 For today, I prepared a beauty oriented post, with all the empty products that piled up over the last few months. Some of them really good and some of them sadly not. 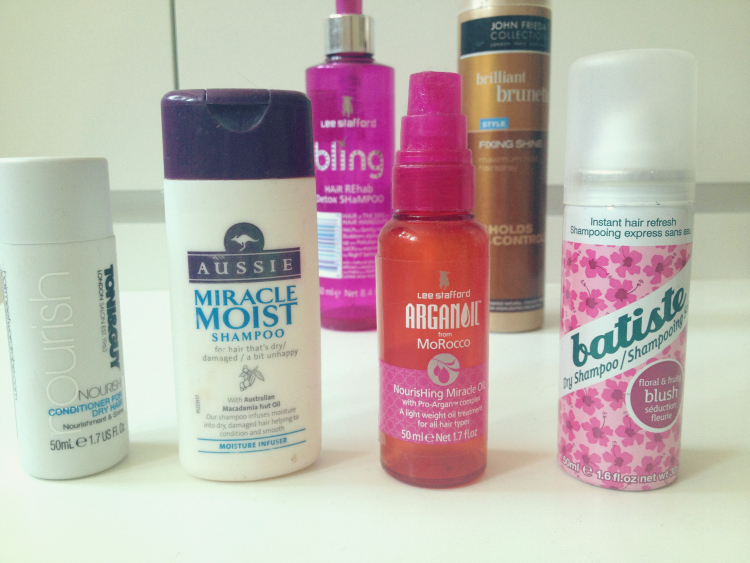 Aussie Miracle Moist Shampoo – It says for hair that’s dry and a bit unhappy and it sure did make my hair happy again. Would definitely buy the full-sized bottle next time! Toni&Guy Nourish Conditioner – Another sample size of hair products I brought from London, but this one I didn’t really get it. It wasn’t bad, but it wasn’t anything special either. Lee Stafford Nourishing Miracle Oil – Now this was worth every cent. For a rather high price (it’s around 17€ I think) you get an exquisite product. It lasted me a whole year and it was my holy grail. Makes your hair soft, shiny and looking healthy as ever! Lee Stafford Hair Rehab Detox Shampoo – I went on a Lee Stafford binge when it first got to local drugstores, must admit. And till now I wasn’t disappointed with any of their products and this detox shampoo was no exception. It removes all the build up other hair products left and it leaves you with squeaky clean hair that feels light and amazing. John Frieda Brilliant Brunette Fixing Shine Hairspray – Another one of my favorite hair brands, but sadly this one ended in disappointment. I’m generally not really a hairspray lover, but sometimes a girl just has to spray it on to protect the hair from falling down. Well, this one didn’t really do the job. Although I did end up spraying it on every day, just because it smells so chocolatey. L’Occitane Magical Leaves Body Milk – It was a birthday gift from my mom and I was planning on saving it, just because it looked and smelled amazing, but then I just couldn’t resist it anymore and went through it in few months. Leaving my skin soft and very lightly scented, just what you want out of a body milk. 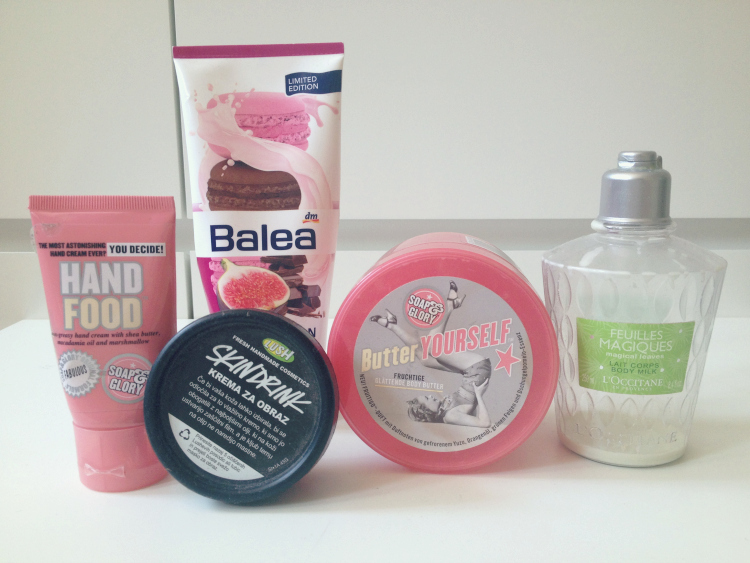 Soap&Glory Butter Yourself Body Butter – Since we don’t have this brand in Slovenia, you can imagine my excitement when I got to Austria and spotted this on the shelves. It was a bit pricey, but so worth it. It smells heavenly and the texture is resembling to a heavily whipped cream. It’s like it was made for Gods! Soap&Glory Hand Food Hand Cream – The only thing I regret when getting this, is that I didn’t buy a full size. It’s amazing. It makes your hand fabulous. Lush Skindrink Face Moisturizer – My skin gets very (and I mean veeerryyy) dry in winter, so after unsuccessfully testing out all the (cheap) drugstore ones, I turned to Lush. It’s quite pricey (around 18€) but it was the only thing that brought my skin back to life. It’s natural, smells okay, but when doing the trick, all the above is irrelevant to me. It’s definitely a winter must have for me. MAC Mineralize Satinfinish SPF 15 Foundation – I think I’m cursed with liking foundation products that are out of my reach in my own country. This was my first real foundation and I went through two bottles, before discovering Benefit’s Hello Flawless (also unavailable to Slovenia, seriously?!). I think it now got discontinued though… Anyway, it made my skin look great, it had just the right amount of coverage for me to still look natural. 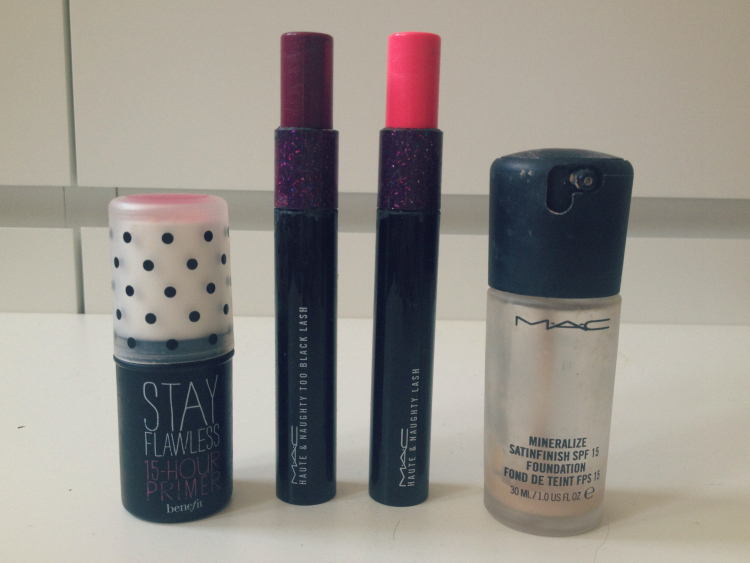 MAC Haute&Naughty Lash Mascara – I got this because it looked different. You choose how defined you want your lashes to be – natural or full on. This was actually the best mascara I’ve ever had, enough said. MAC Haute&Naughty Too Black Mascara – Is basically the same as the original Haute&Naughty, but supposedly even blacker. If that makes sense. Well, to be honest, I didn’t see the difference, both were great. Benefit Stay Flawless Primer – I’m currently scraping the very last drops of this magnificent primer, but in few days, I’ll run out indefinitely. Or at least until I get to Italia and buy me a new one. It’s not cheap, 35€, but something I can’t live without anymore. They’re not joking when they wrote “Last 15-hour”, because without it, my foundation would disappear in few short hours. Holy grail of my makeup! Did you try any of those products as well? What were your thoughts on it? Did you try anything else? Share! Vonj je grozen… Mene spominja na stare mame. Kje pa si kupila Aussie šampon?